This tutorial will show you step-by-step how to create a realistic looking drop shadow using Adobe Photoshop. This technique works best for round objects and requires a little more work for any irregular in shape objects. I might do another tutorial on that, but if you get the basics of how this technique works, then I'm sure you will be able to figure out the rest. By the way, this exact technique was used for all the shoes that you see on ShoeGuru.ca. 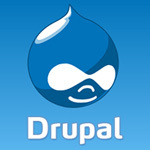 Installing modules in Drupal is very important as it helps your website achieve more functionality. Often themes require additional modules in order to function properly. Themes that require support from modules are usually e-commerce themes, or themes that are more dynamic. This tutorial will guide you step-by-step on how to install modules on your Drupal website. 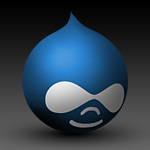 Most of the popular hosting companies provide free installations for Drupal users. However if your hosting company is compatible with PHP/MySQL websites, Drupal can still work on your server and these simple steps are required in order to install your new Drupal website. This small tutorial will guide you on how to purchase your DrupalStyle theme! Please NOTE: Drupal STYLE no longer sells any themes. All of them are now available for download absolutely FREE of charge, for both, commercial and personal uses. Enjoy! Sorry for the lack of updates, guys and girls. We've been working on quite a few new things for DrupalStyle (DS) and are slowly rolling them out. We will finally be introducing several new Tutorial sections that will be covering many cool things about Photoshop, Illustrator and Web in general. We have also recently launched 3 new themes. 2 premium eCommerce themes and a very cool portfolio/photo theme. We already have a few users for each one of them, so keep checking the website to see how people use them. Until next time! 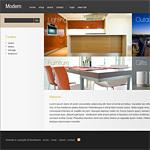 Modern features an extremely flexible and clean layout making it perfect for virtually any online store. 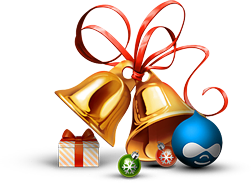 Merry Christmas From Drupal STYLE! OK, we're not quite there just yet, but we thought that we can start celebrating early! We have noticed that people really like our monthly 50% OFF sales, so we have decided to hold a 50% OFF Christmas Sale. During the month of December use MERRYCHRISTMAS code when you check out to recieve 50% OFF of any theme! Enjoy! Layers theme was designed specifically for blogging. It has a fairly minimalist look and is a pleasure to use. For a live version please check out www.yurasklyar.com. The month of September was quite busy for us at 350, so we didn't get a chance to release anything new. 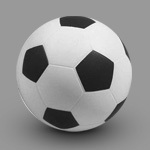 We are however in the process of testing a new blog theme that can be seen live here: www.yurasklyar.com. This one will also be available in several other color combinations. Check it out! 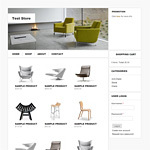 Frame is our first free Drupal e-commerce theme. It features a very clean, contemporary look. 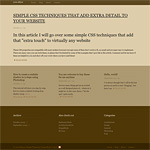 As all of our themes, this theme is optimized for usability. White background allows for a very cost effective product photography that is fairly easy to obtain even in home enviroment using a light cube and a DSLR.